From the kitchen of One Perfect Bite...I had gone to market in search of English peas and while there I happened on a display of large canned hams that I hadn't seen in years. They were a feature of holiday meals and throughout the 50's and 60's you'd be hard pressed to attend a party where they weren't served. The hams were usually topped with rings of pineapple and studded with maraschino cherries before being glazed and warmed for service. 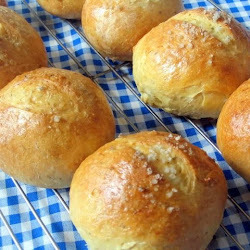 They weren't bad and they fit the lifestyles of woman trying to cast off years of rationing and cooking that kept them in the kitchen for hours at a time. The women who emerged from the war loved the simplicity of Danish modern furniture and the ease of frozen food. A company ready ham that need only to be warmed was perfect for their needs. That ubiquitous ham was part of Easter dinner in many homes across the country. Strange as it seems, while the food was simple, the holiday itself seemed more important then it does today. The Easter bunny was on a par with Santa and egg hunts replaced the magic of empty stockings miraculously filled by elves or angels. In those simpler times, Easter really did mean bonnets and parades, and to the delight of little girls, the holiday came with new outfits that included shinny Mary Janes. It was also a more overtly religious holiday than it appears to be today. We spent a lot of time in church during Holy Week, but it wasn't as oppressive as you might think. I will forever be moved when I hear the "Exultet" and the "Alleluia" from the Easter vigil services and I'm so grateful they were part of my childhood. While Easter may have no meaning for many, it's my hope that we all believe in new beginnings and the triumph of good over evil. So, whatever your beliefs, I hope you all bask in the sun of this new day. After that introduction, I was sorely tempted to make a canned ham and share it with you, but then I realized you'd probably stone me and I wanted no part of that. So, I'm heading back to the peas with which I began this post. “Risi e bisi” (rice and peas) is a classic Venetian dish. While many think it is a risotto, it is actually a very light soup. There should always be just enough liquid in the bowl to require a spoon for eating. It is very easy to make and you'll love it as long as you don't overcook the rice. 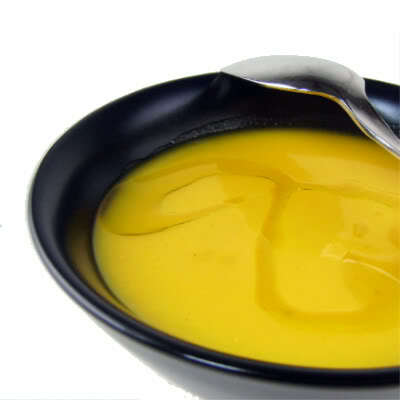 The soup can be table ready in half an hour and it is a perfect light meal to break a fast or settle an uneasy stomach. The soup will absorb liquid as it sits, so it's best to serve it as soon as the rice is ready. If you have leftovers you will have to add stock when you reheat the soup. I think you'll really like this one. Here's the recipe. 1) Melt butter in a medium saucepan over medium heat. Add onions and cook for 5 minutes. Add peas and salt, and cook, stirring constantly, for 2 minutes. 2) Add chicken stock and 2 cups water, and bring to a boil. Stir in rice and parsley, reduce heat to medium-low, cover, and cook, stirring occasionally, until rice is al dente and peas are very soft, about 20 minutes. 3) Adjust seasonings and serve immediately before rice absorbs liquid. Top with grated parmigiano-reggiano, if you like. Yield: 4 to 6 servings. Cook's Note: While this dish is best made with fresh peas, 3 cups of frozen peas can be substituted. That's a very interesting story about Easter. Unfortunately, we don't celebrate it. At first glance, I thought the dish was a fancy name for risotto. Good to know that it is a light soup. This looks so good, and I had no idea it had any broth and that it is a soup!!!! Hoping you have a blessed Easter Sunday, and I'm up for that ham, I have never cooked one before and I'd like to use one already pre-coooked. Wish you all the blessings of Easter. I just had breakfast of Appoms and chicken stew, the traditional easter dish here. We make this rice and peas dish,a variation with local spices. Interesting to hear about hams popularity, I am guessing it was SPAM and its cousins. I have to buy SPAM one day and live life like it was in the 50's/60's:). Hope your easter weekend is going well. A perfect light dish!I love rice made in every way!May the light of resurrection guide your life,dear Mary! What a lovely Easter post. You brought back lots fo memories. And yes I surely remember those canned ham; glad you didn't decide on that recipe; your Risi e Bisi looks wonderful. 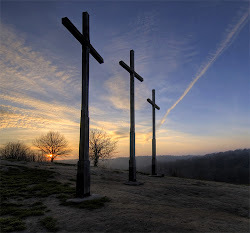 Easter celebration has changed so much in our family, but I cherish those memories of holy week. Joyous Easter good wishes to you and your family, Mary. I hope you have a very happy day. My dad is a vegetarian so no canned hams on our table at Easter but I do remember Kam or its counter version Spam showing up often during the summer months with a mashed potato salad! Have a wonderful aster Mary!! Lovely thoughts for Easter morning - thank you Mary! Wishing you Easter Blessings! Also, I made ham with pineapple and cherries a season or two ago, and my family loved it! Happy Easter, Mary! I miss getting a whole new Easter outfit every year, from hat to shoes - and like you said, they were more than likely Mary Janes! Just poking in to wish you a Happy Easter my friend! And of course, the dish looks absolutely amazing. Mary, I appreciate the Easter sentiments you expressed, as well as the way you expressed them. I'm thinking that (since I would need to use frozen peas) it might make sense to add them when the rice is done. I love the tablecloth that you included with the peas. Such a great pairing. Oh, I meant to mention that I grew up in the 40's and 50's and well remember the canned hams. Looks delicious... interesting it's a soup! Wishing You a very Happy Easter! 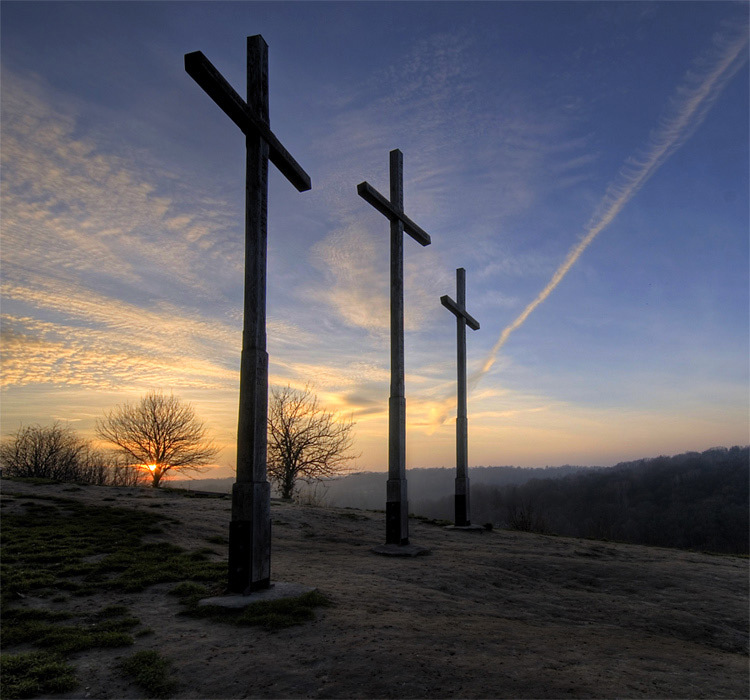 wishing you a blessed easter and have a joyous celebration! What a lovely dish! I always love your stories to begin your posts! Mary, you are so right about Easter being a more important holiday then than it is today. As kids, we also spent a lot of time in church and for us, even though it almost always snowed on Easter Sunday, cold or not it meant new hats, new dresses and short stockings in our new shoes instead of heavy oppressive winter clothing. It was a welcome celebration of spring in all its glory, even it though Spring was really a long way off. As for the canned ham, oh my goodness that brought back memories too. Thank you Mary! I so enjoyed reading this post, Mary. This recipe looks so good. I have been craving Spring peas ever since I saw your Peas and Pasta recipe! I hope you have a beautiful Easter Sunday! A great dish, Mary. I remember fondly the Easters of my youth, the school holiday, the new clothes, the solemn church services and the Easter Bunny. May your day be blessed. This dish looks so tasty! Perfect for Easter! Easter used to me one of my favorite holidays. My basket was full of little plastic dinosaurs (no idea) and yummy chocolates and then we'd all dressed up and go to church, followed by food and family at the Aunties' house. I really miss that sometimes. What a beautiful picture. Happy Easter! I love your story! Your dish looks great! Have a nice day Mary! What a beautiful, simple dish. Happy easter Mary! That is amazing, Mary, and I thank you for sharing. Happy Easter! Mary - I definitely wouldn't stone you for making a canned ham. The risi e bisi looks terrific and really represents spring. I hope you and your family have a wonderful Easter! Great post. Wishing you a blessed Easter! I found what you said was beautiful and inspiring, I share you thoughts exactly. I love soup, from the hearty to the liquid - this one is definately being added to my collection. It is amazing how fast it is. I've always thought of this as a risotto but I'm so glad you've informed me otherwise! I would have made it all wrong. What a perfect easter or spring dish! Sounds like a wonderful spring meal. Happy Easter! Thanks for the link love. I remember the canned hams of the 50's - a huge splurge for my family. I loved that there was a key that opened it. And bonnets and gloves. My daughter had bonnets - but alas not white gloves for Sunday mass - they were gone. If anything does represent spring for me it is this dish. Fresh peas with rice and some Parmesan and you are lifted into a new season. Happy Easter, Mary. I hope you've had a beautiful day. I remember my first Easter spent with my ultra-Catholic inlaws. I was expecting ham, and when u mentioned this, got looks like I must be from another planet. Glad to hear I'm not the crazy one. i loved hearing about the canned hams- i have never had one, but have seen pics of them from the 50s and 60s.... Hope you had a blessed Easter Sunday filled with great food and family! Are you sure you didn't grow up in my neck of the woods? All your "sights" and "sounds" make my ears ring of familiarity:) Many a meal has begun with Rice and Peas in our house as a child. Thanks for the memories, Mary. 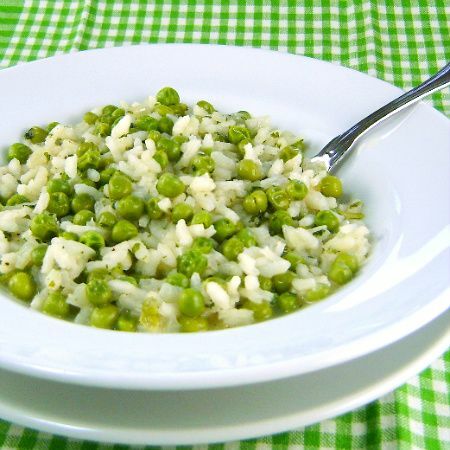 Happy Easter :) This dish sounds delightful, I love the sound of peas with nice and creamy rice! Delicious and colorful rice, hope you had wonderful Easter. wow very interesting story! great dish. it looks amazing!